“Storm Fury demonstrated -- regardless of the sophistry -- that hurricane winds can be reduced from 130 mph to 75 or 80 mph -- a difference that means the a difference of billions in damages and of doubtless many lives. “In 2025, US aerospace forces can ‘own the weather’ by capitalizing on emerging technologies and focusing development of those technologies to war-fighting applications. Such a capability offers the war fighter tools to shape the battlespace in ways never before possible. It provides opportunities to impact operations across the full spectrum of conflict and is pertinent to all possible futures. 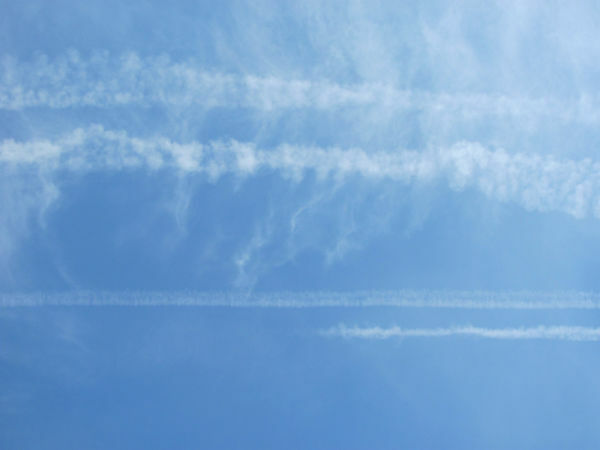 The purpose of this paper is to outline a strategy for the use of a future weather-modification system to achieve military objectives rather than to provide a detailed technical road map. Why Would We Want to Mess with the Weather? A Why Is the Ionosphere Important? 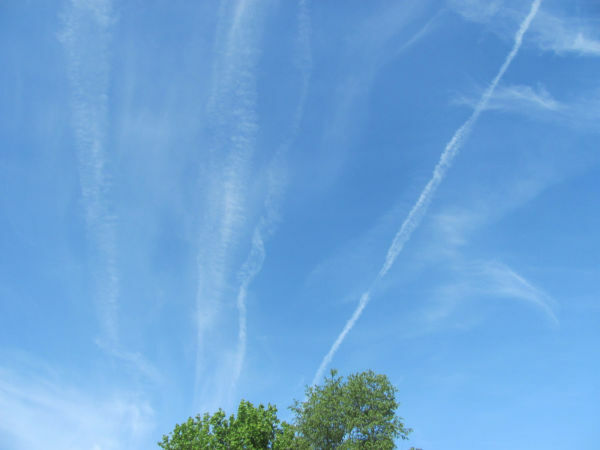 “The Board may enter into cooperative agreements with the head of any department or agency of the United States, an appropriate official of any State or political subdivision of a State, or an appropriate official of any private or public agency or organization for conducting weather modification activities or cloud-seeding operations. (3) the National Aeronautics and Space Administration (NASA). Provides for a representative from NOAA and a representative from NSF to serve together as co-chairs of such Subcommittee. (7) estimate federal funding for research activities to be conducted under the program. 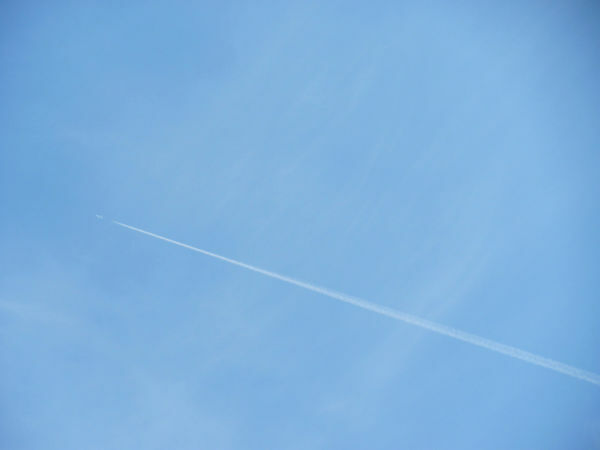 (3) scholarships and educational opportunities that encourage an interdisciplinary approach to weather modification. 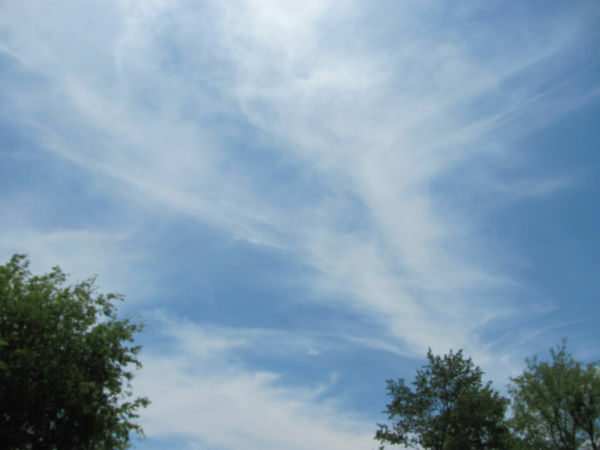 (7) a description of any potential adverse consequences on life, property, or water resource availability from weather modification efforts, and any suggested means of mitigating or reducing such consequences if such efforts are undertaken. 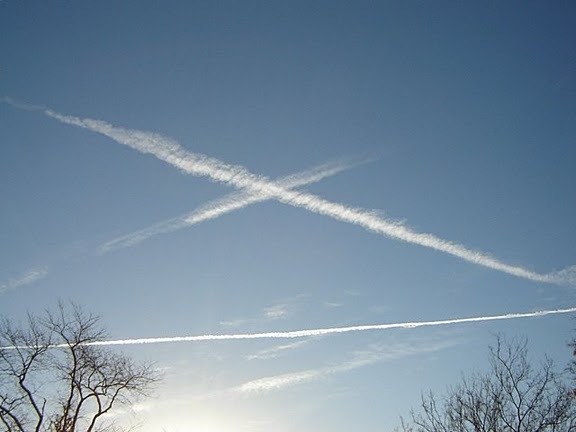 (2) advise such Subcommittee on the research and development, studies, and investigations with respect to potential uses of technologies and observation systems for weather modification research and assessments and evaluations of the efficacy of weather modification, both purposeful, (including cloud-seeding operations) and inadvertent (including downwind effects and anthropogenic effects). 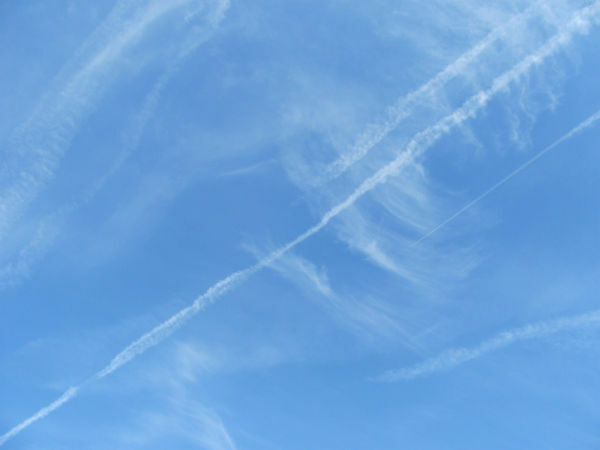 Instructs U.S. departments and agencies and any other public or private agencies and institutions that receive research funds from the United States related to weather modification to give full support and cooperation to the Weather Modification Subcommittee. Further consideration of the S. Bill 517 was tabled by request of President Bush and neither bill was passed. A watchdog organization in California protested the outrageous and alarming prospect of “experimenting” on the environment. “When this toxic secret chemical drops into the ocean or over land what are the environmental effects? Who is studying what happens to marine life, crops, soils, and drinking water supplies when this chemical mixes with rainfall on the ground? "A Dyn-O-Mat Plan to Avoid Disaster?" is also quite interesting. Was the BP oil spill an experiment to see what they could do with this gel product? The BP oil spill happened during the hurricane season. Who knows what experiments they were really doing out there in the Gulf? In 2011, the House of Rothschild acquired a majority stake in Weather Central, the world’s leader in weather, forecasting, traffic, news and sports systems. Weather experimentation and modification are a life or death issue that must involve public discussion, informed consent and accountability to all Americans. Passage of H.R. 2995 would have required government transparency and limited the use of weather modification for the welfare of the people. The failure of the Congress to establish a national policy board and a program for weather modification that is accountable the American people made it possible for the government to work in secret with agencies and private corporations in covert weather modification operations. 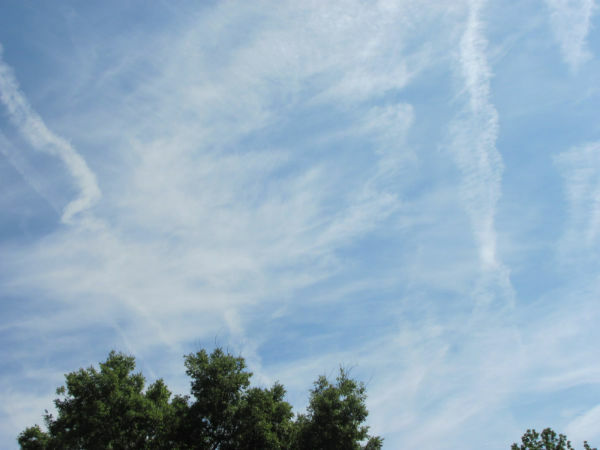 That government transparency, regulation and accountability were so readily tabled supports the case that the present use of weather modification is not for humanitarian purposes, but for the wrong reasons. 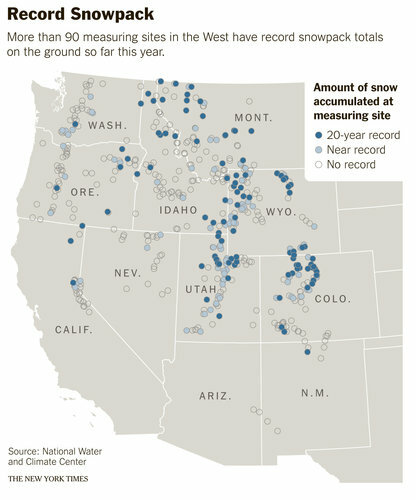 “Thanks to a blizzard-filled winter and an unusually cold and wet spring, more than 90 measuring sites from Montana to New Mexico and California to Colorado have record snowpack totals on the ground for late May, according to a federal report released last week. This evidence is revealing, for these projects demonstrate that Weather Modification, Inc. has not mitigated but has intensified the rainfall and subsequent flooding of the Missouri River, which is presently at disaster levels. With the National Guard and FEMA on location, the Army Corps of Engineers is preparing to break South Dakota dams to release Missouri River flooding into Mississippi River. “SALMON, Idaho (Reuters) - Rising waters forced evacuations in Minot, North Dakota, on Tuesday as officials in South Dakota raced to finish levees to protect the state capital and other cities from the swollen Missouri River. “Mandatory evacuations over the next couple of days are expected to displace 10,000 to 12,000 Minot residents as the Souris River, a tributary of the Red River, eclipses records set in damaging floods of 1976 and 1969, officials said. “DAKOTA DUNES, S.D. – South Dakota's governor has urged some residents to evacuate from three cities considered early trouble spots as officials brace for a prolonged period of Missouri River flooding. “Gov. Dennis Daugaard asked residents in threatened areas in the state capital of Pierre and neighboring Fort Pierre as well as residents of Dakota Dunes to evacuate by Thursday night. Daugaard's announcement was a request and not a mandatory evacuation, but law enforcement officials were going door-to-door Wednesday evening to tell residents about it. We have already seen that Weather Modification, Inc. has, for many years, been augmenting the snow supply in the Rocky Mountains in the Mountain states of Idaho and Wyoming, which is in the Missouri River Basin. WMI has also been enhancing the rainfall with cloud seeding in North Dakota, also in the Missouri River Basin! “I'm just learning the ins and outs of this coming mess and thought it'd be nice to put on one page, for myself and maybe others to understand some of it. My extent will be fairly basic but maybe useful none the less. I like to figure out perspective first, especially when it's being titled...the most severe the region has seen since the river's reservoir system was constructed in the 1950s and 1960s (http://www.usatoday.com/weather/floods/2011-06-01-northern-plains-northern-rockies-floods_n.htm). Basically the mountains up there received 200% of normal snow over the winter. This year has been abnormally cool in the north. 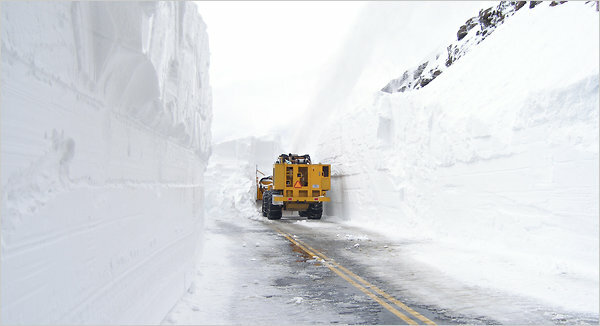 Sounds like they are still getting snow in June. They have then had "years worth of rain in a couple weeks". Sounds like most of that came after May 1st. 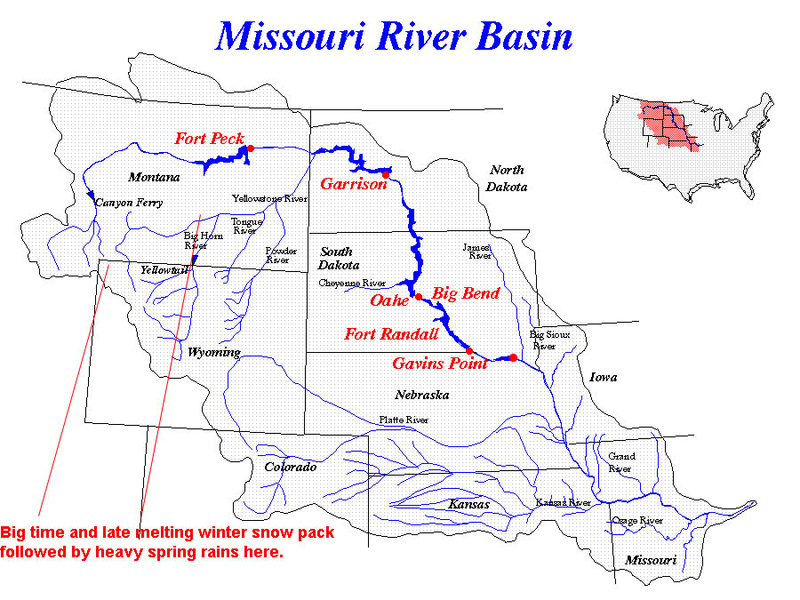 So all that and other rains have to make their way down the Missouri River Basin and through a sequence of massive reservoirs and dams. Basically if one dam increases release, well then the dams below it will have to as well, if their reservoirs are already full as well.” (http://www.extremeinstability.com/2011flood.htm). 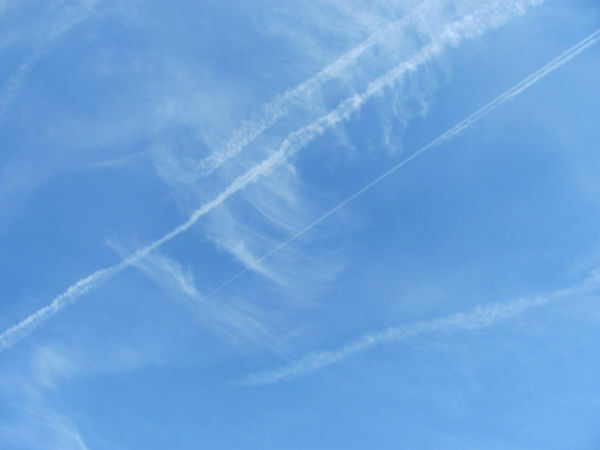 An excellent video presentation on weather modification, specifically by means of aerosol operations (“chemtrails”), was made by Clifford Carnicom, a former technical research scientist for the U.S. Department of Defense. 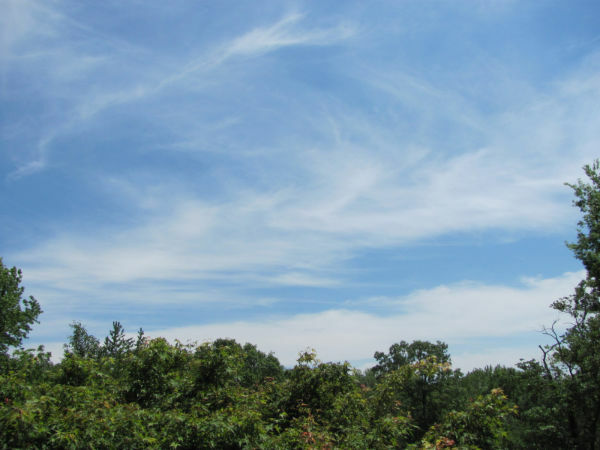 In the course of his research, Mr. Carnicom discovered that weather modification is indeed a covert operation securely guarded and controlled by Department of Defense and military intelligence. 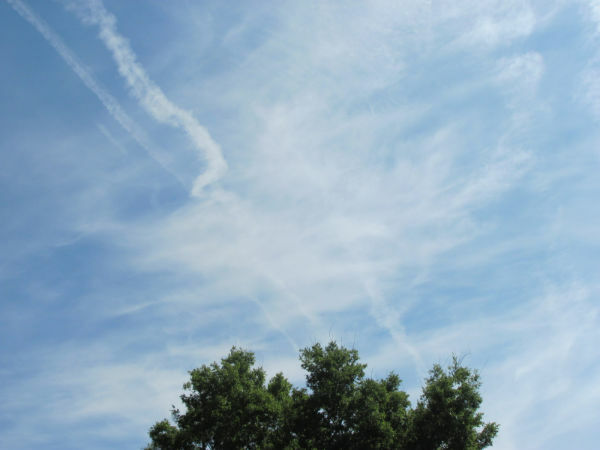 Clifford Carnicom then proceeded to identify and describe five areas of weather modification currently being conducted by the U.S. government as stealth operations. Chapter from Unless Peace Comes by Gordon J. F. MacDonald U.S.A. Among future means of obtaining national objectives by force, one possibility hinges on man’s ability to control and manipulate the environment of his planet. When achieved, this power over his environment will provide man with a new force capable of doing great and indiscriminate damage. Our present primitive understanding of deliberate environmental change makes it difficult to imagine a world in which geophysical warfare is practised. Such a world might be one in which nuclear weapons were effectively banned and the weapons of mass destruction were those of environmental catastrophe. As I will argue, these weapons are peculiarly suited for covert or secret wars. As far as military applications are concerned, I conjecture that precipitation enhancement would have a limited value in classical tactical situations, and then only in the future when controls are more thoroughly understood. A nation possessing superior technology in environmental manipulation could damage an adversary without revealing its intent. Modification of storms, too, could have major strategic implications. As I have mentioned, preliminary experiments have been carried out on the seeding of hurricanes. The dynamics of hurricanes and the mechanism by which energy is transferred from the ocean into the atmosphere supporting the hurricane are poorly understood. Yet various schemes for both dissipation and steering can be imagined. At present we are a long way from having the basic data and understanding necessary to carry out such experiments; nevertheless, the long-term possibility of developing and applying such techniques under the cover of nature’s irregularities presents a disquieting prospect. In considering whether or not climate modification is possible, it is useful to examine climate variations under natural conditions. Firm geological evidence exists of a long sequence of Ice Ages, in the relatively recent past, which shows that the world’s climate has been in a state of slow evolution. There is also good geological, archaeological and historical evidence for a pattern of smaller, more rapid fluctuations superimposed on the slow evolutionary change. For example, in Europe the climate of the early period following the last Ice Age was continental, with hot summers and cold winters. In the sixth millennium B.C., there was a change to a warm humid climate with a mean temperature of 5ºF higher than at present and a heavy rainfall that caused considerable growth of peat. This period, known as a climatic optimum, was accentuated in Scandinavia by a land subsidence which permitted a greater influx of warm Atlantic water into the large Baltic Sea. At present, we can only tentatively speculate about modifying the short-wave radiation at its source, the Sun. We have discovered major instabilities on the Sun’s surface which might be manipulated many years hence. In a solar flare, for example, 1010 megatons of energy are stored in distorted magnetic fields. With advanced techniques of launching rockets and setting off large explosions, we may sometime in the future learn to trigger these instabilities. For the near future, however, modification will not be in the short-wave in-coming radiation but in the long-wave outgoing radiation. What causes earthquakes? Over geological time, the irregular distribution of heat-producing radioactive elements in the rock layers gives rise to sub-surface temperature differences between various parts of the Earth. In the continents, granites and similar rocks have concentrated radioactive elements near the surface; no similar concentration has taken place in the sub-oceanic regions, which may as a result be more than 100ºC cooler than the corresponding sub-continental regions. Such variations in temperature along a horizontal line, due to the differences in the vertical distribution of heat-producing elements, give rise to large thermal stresses, causing strain analogous to that which cracks a glass tumbler filled with hot water. The strain tends to be greatest in regions of abrupt temperature change along a horizontal line through the Earth’s crust. The strain may be partially relieved by the slow convective flow of material in the deep Earth which is thought by some geophysicists to push continents about. But the strain can also be relieved by sharp fractures or by movements along previous faults in rocks near the surface. Movement along a fault radiates energy outward, which results in an earthquake. Each year approximately 200 megatons of strain energy is released in this fashion, the largest earthquakes corresponding to energy of the order of 100 megatons. The use as a weapon system of the strain energy instability within the solid Earth requires an effective triggering mechanism. One instability offering potential as a future weapon system is that associated with tsunamis. These frequently originate from the slumping into the deep ocean of loosely consolidated sediments and rocks perched on the continental shelf. Movement of these sediments can trigger the release of vast quantities of gravitational energy, part of which is converted in the motion of the tsunami. For example if, along a 1,000-kilometre edge of a continental shelf, a block 100 metres deep and 10 kilometres wide were dropped a distance of 100 metres, about 100 megatons of energy would be released. This release would be catastrophic to any coastal nation. Deﬁciencies both in the basic understanding of the physical processes in the environment and in the technology of environmental change make it highly unlikely that environmental modiﬁcation will be an attractive weapon system in any direct military confrontation in the near future. Man already possesses highly effective tools for destruction. Eventually, however, means other than open warfare may be used to secure national advantage. As economic competition among many advanced nations heightens, it may be to a country’s advantage to ensure a peaceful natural environment for itself and a disturbed environment for its competitors. Operations producing such conditions might be carried out covertly, since nature’s great irregularity permits storms, floods, droughts, earthquakes and tidal waves to be viewed as unusual but not unexpected. Such a ‘secret war’ need never be declared or even known by the affected populations. It could go on for years with only the security forces involved being aware of it. The years of drought and storm would be attributed to unkindly nature and only after a nation were thoroughly drained would an armed take-over be attempted. In addition to their covert nature, a feature common to several modification schemes is their ability to affect the Earth as a whole. The environment knows no political boundaries; it is independent of the institutions based on geography and the effects of modification can be projected from any one point to any other on the Earth. Because environmental modification may be a dominant feature of future world decades, there is concern that this incipient technology is in total conflict with many of the traditional geographical and political units and concepts. Professor MacDonald is associate director of the Institute of Geophysics and Planetary Physics at the University of California, Los Angeles. His researches have embraced a remarkable diversity of natural phenomena and his professional interests are further extended by his participation in national science policy-making. He is a member of President Johnson’s Science Advisory Committee. 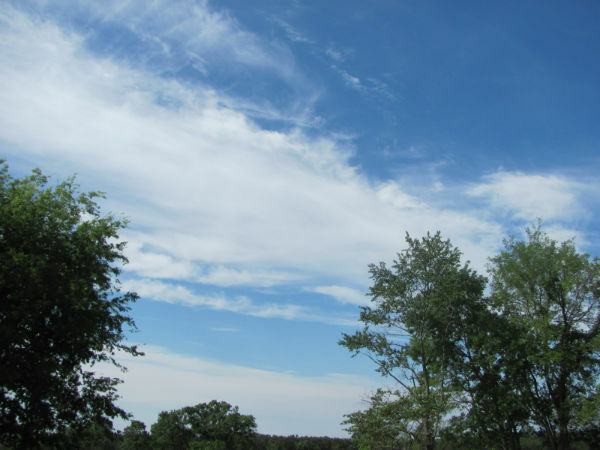 In the section on weather modification I have drawn heavily on Weather and Climate Modification (National Academy of Sciences, National Research Council, Washington, zg66). A.T. Wilson’s paper on ‘Origin of Ice Ages’ appeared in Nature, vol. aox, pp. z4y-g (xg64), and J. T. Hollin’s comments in vol. ao8, pp. ra-16 (r 965). Release of tectonic strain by underground nuclear explosion was reported by F. Press and C. Archambeau in Journal of Geophysical Research, vol. 67, pp. 337-43 (1962), and man-made earthquakes in Denver by D. Evans in Geotimes, vol. to, pp. rr-rp. I am grateful to J. Homer and W. Ross Adey of the Brain Research Institute of the University of California at Los Angeles, for information on the experimental investigation of the influence of magnetic fields on human behaviour.